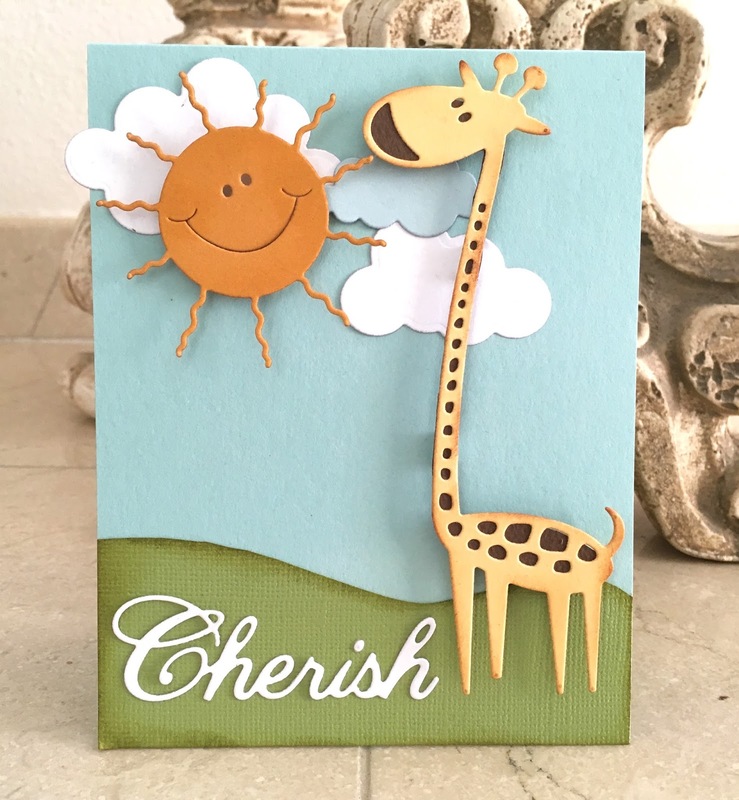 Hi there, welcome to our Cheery Lynn Designs Blog Hop, where we show case the brand new dies for June. First of all, how cute is this new release!!! If you love the whimsical look (and who doesn't? ), you will adore this release!!! So let me share with you how I create this cute little card. First I cut an A2 size card base out of light blue card stock. Next I free hand cut a little green card stock to make it look like a little hill and added it to the bottom of my card. Next I die cut the clouds out of white and light blue card stock and my sun out of orange card stock and placed them on my card front. 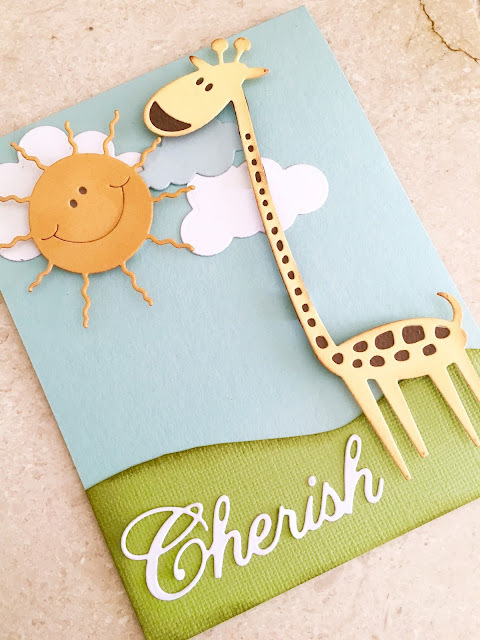 Next I die cut the cute giraffe out of yellow and placed brown on the back to show through the holes and popped it up on my card. Finally I die cut the word Cherish out of white card stock and added it to my green "hill" area. I could see this card being used for baby announcements, baby arrivals, or really for any happy occasion, can you?